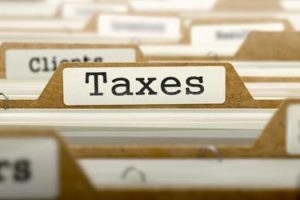 Do You Need A Tax Service in Vancouver, Washington? Financial Connections LLC accountants and bookkeepers understand the complexities of Washington State and Federal tax regulations. We translate what it all means to you and your business with our tax service in Vancouver WA. Understanding taxes could be one of the most challenging things a business owner can face. Accounting itself can be quite a drain on your company’s resources. At Financial Connections, we work full time to keep up with these changes. Our employees stay abreast of the latest changes and amendments to tax provisions. We are your source for a complete range of Washington state tax compliance services whether you are an S Corporation, C Corporation, partnership or sole proprietor. Business taxes go through constant changes that are driven by governmental regulations, state laws, local laws, financial markets and emerging technology. We specialize in working with your existing tax professionals to develop tax plans to save you money and smooth the tax compliance process – no matter the size of your company, where your operations are, or how diverse your business is. Together with your existing team, we help all the experts determine the best tax strategies appropriate for your business goals – from the most basic to the most intricate tactics. You’ll find our service to be a comprehensive solution, letting you spend more time building your business. Financial Connections has experience working with CPA’s, tax lawyers, and finance professionals. We have a broad understanding of tax policies and we work with your professionals on the ever-changing and complex local, state, and federal tax laws. Most businesses simply do not have the time, resources or expertise to stay up-to-date on complicated tax laws and requirements. However, the consequences of improperly maintained tax records or incorrectly filed returns can be devastating to a business. We specialize in coordinating with your existing tax professionals. If you’re not already working with a tax professional, we can recommend one for you. Either way, we will work with your tax specialists to help develop a solution that will fit your company’s requirements. Whether you simply have basic tax filing needs or more complicated and intricate matters which must be addressed, we have the expertise and knowledge to get the job done right. Regardless of your business needs, we have the tax solutions you’re looking for. We understand that you may have an existing tax team or internal department devoted to tax related matters. Financial Connections can work with your existing tax professionals, lawyers, CPAs or finance professionals to help develop the best tax strategy for your business. Of course, if you do not already have a tax team on staff, we can recommend a service for you. You’ll find that our services will prove invaluable as your business attempts to understand and comply with the complicated and ever-changing tax laws. We have the expertise needed to collaborate with your tax professional on your local, state and federal tax issues, regardless of which states you do business in. © 2019 Financial Connections LLC. All Rights Reserved.